An overview of various commodities, sectors, ETF & individual stocks that stand out as compelling trade ideas at this time, both longs & shorts. Took a while to get this one posted as I was working on publishing a few trade ideas after completing the video. 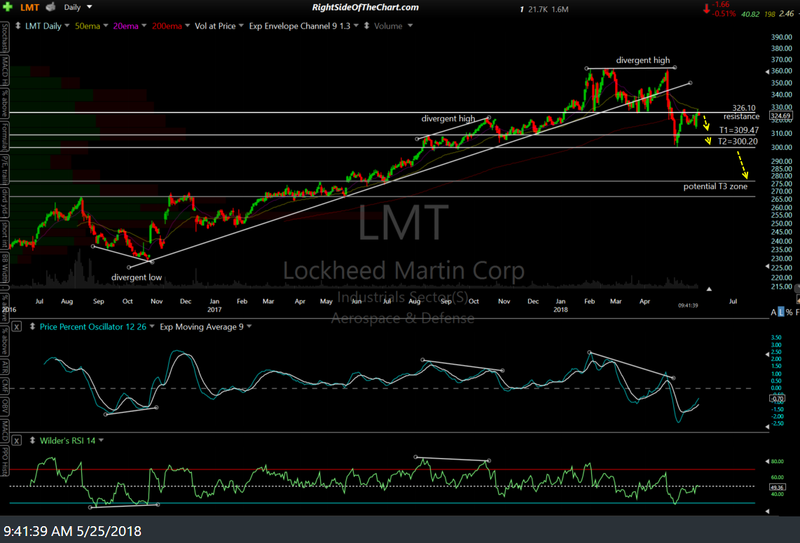 One of the trade ideas covered in this video is LMT, which still looks like an objective short. However, I opted to go with the ITA (Aerospace & Defense Sector ETF) instead for the additional diversification provided by the ETF although LMT tends to trade roughly inline with the sector as it is a top component. I’m still considering adding LMT & some other stocks within the sector as official trades but until & unless that happens, here’s the chart of LMT with my price targets. To answer the question, I like when you run through components. Thank you, @rsotc, for going over individual stocks within the gaming sector, as many of those names offer excellent liquidity and options, making going short much easier.